benefits are the same as for the 220 AC, but this model is designed to tackle even more uneven and complex lawns. Also, the increased cutting capacity means that the time required to cut a particular area will be reduced. The 230 ACX is also equipped with an upgraded anti-theft alarm and backlit keypad and display. 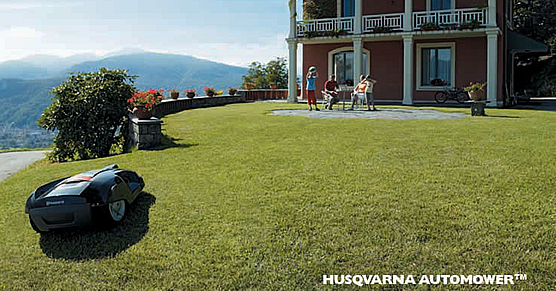 To manage larger lawns or more complex shapes, it is supplied with a larger installation package than the other models. according to your own choice.